Creedance Wright (Hannah) was born in Toronto, and grew up on film sets both in front of, and behind the camera. As a young child she acted in commercials for Shoppers Drug Mart and Zellers. She studied drama at Rosedale Heights School of the Arts and performed in student films including many in collaboration with Nate Wilson including “Mood Killer” which screened at the Toronto After Dark Film Festival in 2013. 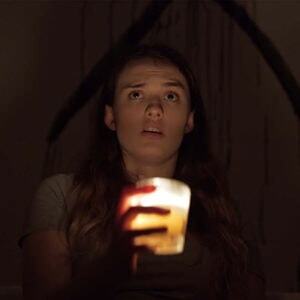 A fourth year student at the University of Toronto, Creedance was cast as Hannah in Impossible Horror in 2015, and continues to work closely with the production team in post-production.